Are you looking for the fastest, most reliable way to get freight shipping to Denmark? At TS Freight, we offer our clients a vast range of services that simplify their import from China to Denmark needs. We will ship to anywhere in Denmark by sea, ocean or road, based on your specific needs, and we will do it at the most competitive rates without compromising the quality of our services in any way. 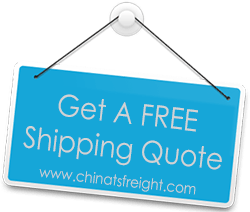 We understand that all our clients have their own individual needs when it comes to freight shipping services from China to Denmark. For some time sensitivity of the cargo is important, while for others budget constraints call for more affordable means for transport. For us, no job is too big or too small; no matter what your shipping needs are, we guarantee that our services will leave you 100% satisfied because we adapt our working methods to suit your personal demands. Our vast network for freight shipping services allows us to serve our clients by shipping their cargo to Denmark from Tianjin, Dalian, Shenzhen, Xiamen, Ningbo, Guangzhou, Shanghai, Hangzhou, Hong Kong and more, to any of the major cities in Denmark including Copenhagen, Odense, Aarhus, Aalborg and more. We offer ocean freight services to all the major sea ports in Denmark, while we also offer air freight services to all the major airports in Denmark as well. We will undertake your shipping to Denmark from start to end – coordinating for pickup in China, packaging and processing for transportation, completing all necessary documentation and custom clearance, handle loading and unloading, and also oversee delivery at the destination in Denmark.